During the late 1990s Hayes gained new popularity as the voice of Chef on the Comedy Central animated television series South Park. He also won two Grammy Awards for that same year. 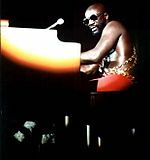 Later he was given his third Grammy for his music album Black Moses. He is well known for his musical score for the film Shaft (1971).